We describe the porting of PWscf (Plane-Wave Self Consistent Field), a key component of the Quantum ESPRESSO open-source suite of codes for materials modeling, to GPU systems using CUDA Fortran. Kernel loop directives (CUF kernels) have been extensively used in order to have a single source code for both CPU and GPU implementations. The results of the GPU version have been carefully validated and the performance of the code on several GPU systems (both x86 and POWER8 based) has been compared with traditional Intel multi-core (CPU only) systems. 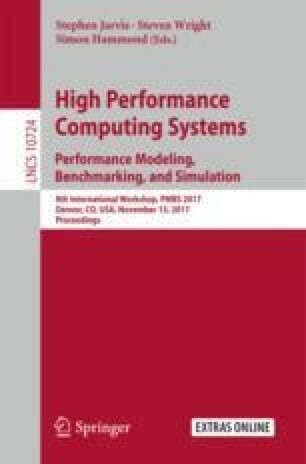 This current GPU version can reduce the time-to-solution by an average factor of 2–3 running two different input cases widely used as benchmarks on small and large high performance computing systems. This research used resources of the Oak Ridge Leadership Computing Facility at the Oak Ridge National Laboratory, which is supported by the Office of Science of the U.S. Department of Energy under Contract No. DE-AC05-00OR22725. This work was also supported by a grant from the Swiss National Supercomputing Centre (CSCS) under project ID g33. Wilkes-2 is part of the Cambridge Service for Data Driven Discovery (CSD3) system operated by the University of Cambridge Research Computing Service funded by EPSRC Tier-2 capital grant EP/P020259/1, the STFC DiRAC HPC Facility (BIS National E-infrastructure capital grant ST/K001590/1, STFC capital grants ST/H008861/1 and ST/H00887X/1, Operations grant ST/K00333X/1) and the University of Cambridge. CSD3 and DiRAC are part of the UK National e-Infrastructure. Paolo Giannozzi also acknowledges support from the European Union through the MaX Centre of Excellence (Grant No. 676598).